After a bad experience at another dental practice, I asked a friend for her dentist's name. From the first phone call to reception, the initial exam, a filling, and the unexpected need for an extraction, everything has been efficiently and beautifully handled by Dr Cheong and each of the professionals at the practice. Twickenham earns its patients' loyalty with every contact, and it shows. Straightening your teeth is no longer only for children and teenagers. Ninety percent of our patients are adults who are finally able to get the smile they have always wanted. At Twickenham Dental Care our registered Orthodontics Specialists are perfectly qualified to offer you the latest inovations in tooth straightening. 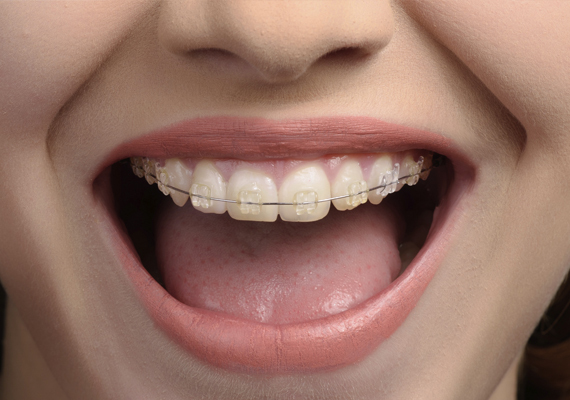 Ceramic braces or invisible braces are popular choices when you don't want anyone to know you are wearing braces.